Turning stickers and ads into yen. 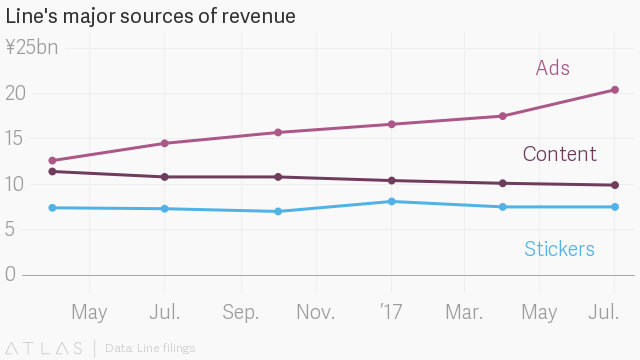 Making money from a messaging platform is hard—just ask Twitter. 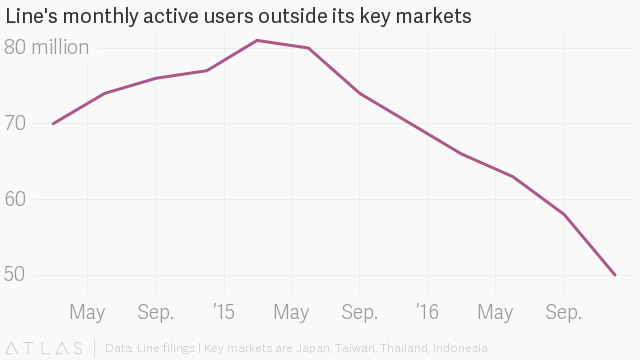 It’s even harder with flatlining user numbers, yet Japanese chat app Line may have cracked the code. 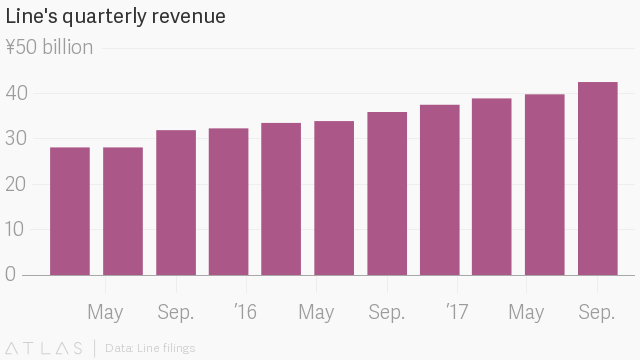 Line is dominant in its home market, having made its name selling cutesy digital stickers to its users. But now it’s unlocking new revenue streams, like advertising, that are sending its stock soaring, even as its user base stagnates. Line’s share price shot up after announcing its third-quarter earnings (pdf) today. The enthusiasm is not because of rapid user growth. 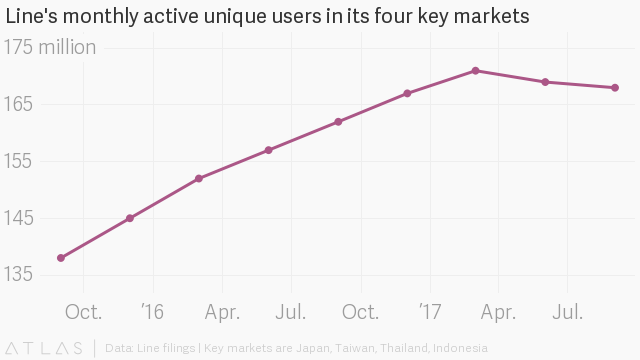 Line only reports user numbers in four markets that it deems “key” to investors—Japan, Taiwan, Thailand, and Indonesia—and this total is declining. There’s a good reason why Line doesn’t report its total monthly active user numbers. The sums are even worse outside its key markets. That’s the impression from the company’s 2016 annual report, the most recent occasion when data on total monthly active users was published. Even Line’s key innovation, the plethora of cute digital stickers that it sells to users has been waning in popularity. 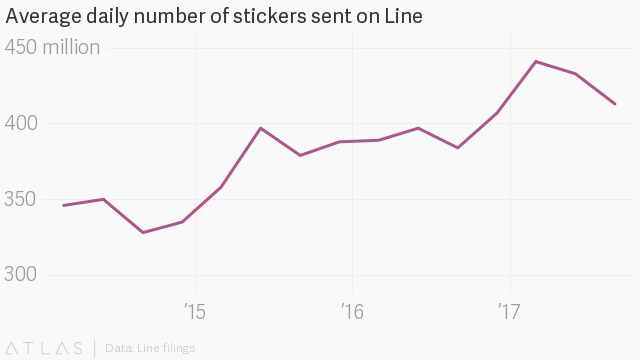 Line users have been sending fewer stickers in recent quarters. While stickers may be losing their charm among Line’s users, it appears advertising is still pretty effective. The app’s programmatic ads, served up to users in features like Line’s news reading app, or inside its Facebook-esque stream of updates, are pushing up its revenue numbers. And that’s why Line’s investors are pretty pleased with the chat platform’s performance, despite its flat user numbers.